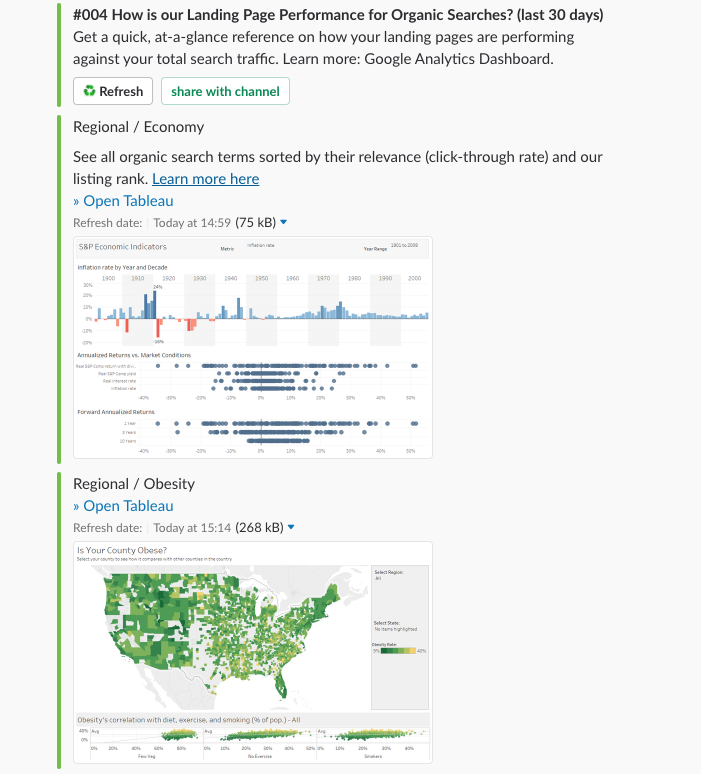 Ways to get started with Data Questions for Slack and Tableau. 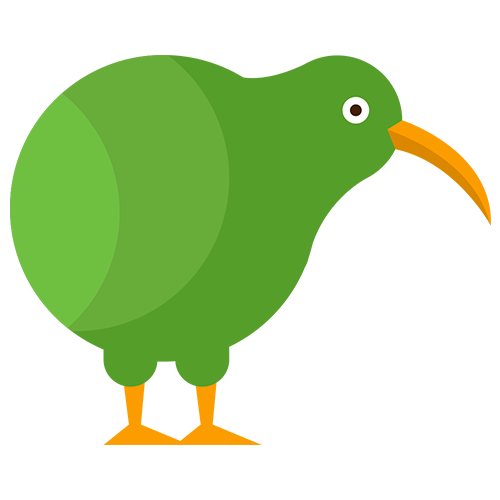 Get started with Kiwi Data Questions in less than 5 minutes. We have created some demo data for a quick overview. 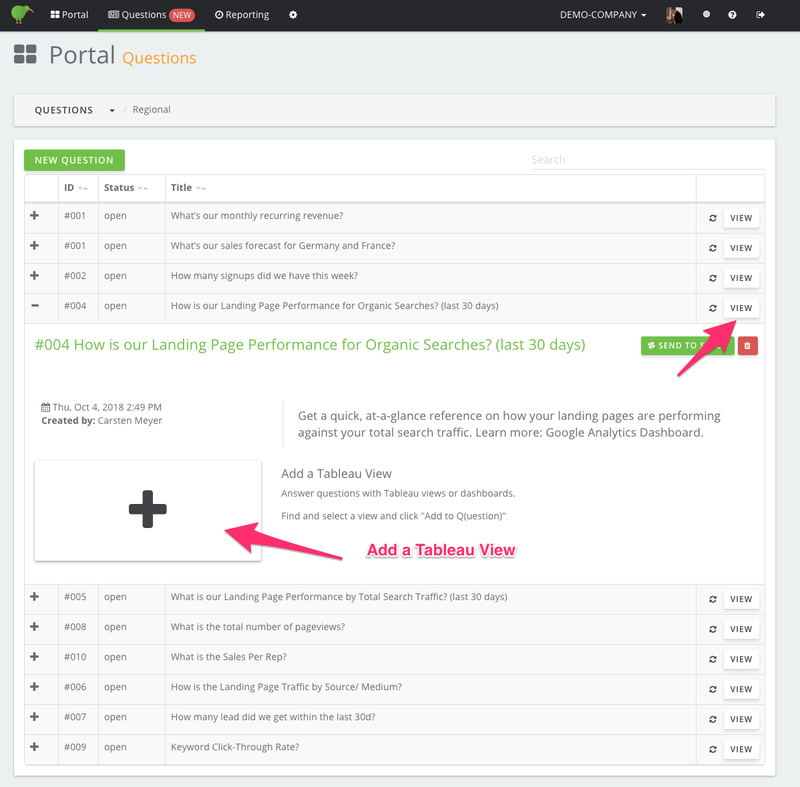 Login or sign up with Kiwi and open questions in the Kiwi portal and click add demo questions. Open one of the questions "View" and click "Add a Tableau View"
Now browser your Tableau views within the portal and select one that helps to answer the data questions. Then go on and add the Tableau view to the data question. Optionally, you can describe how the selected view answers the question or add guidance that describes how to use / interpret it. 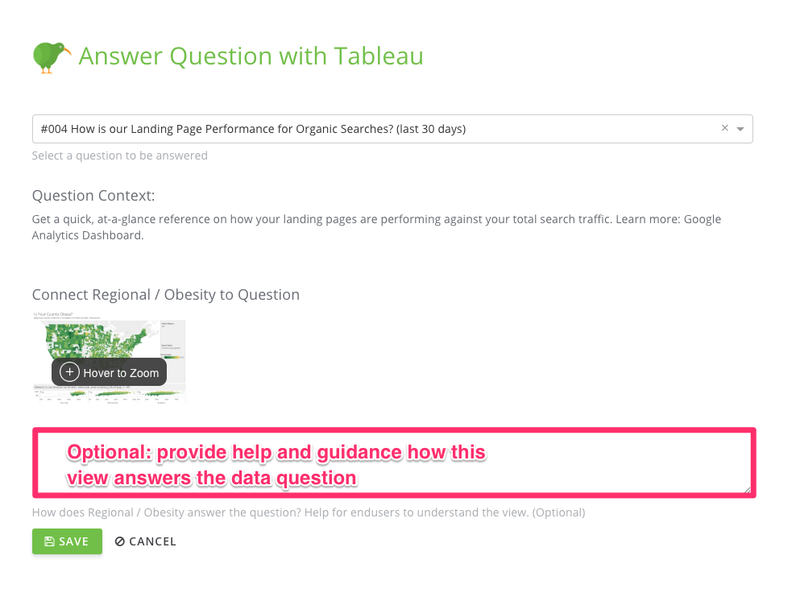 After you press "Save" you get back to the Tableau view that shows all questions this view answers. 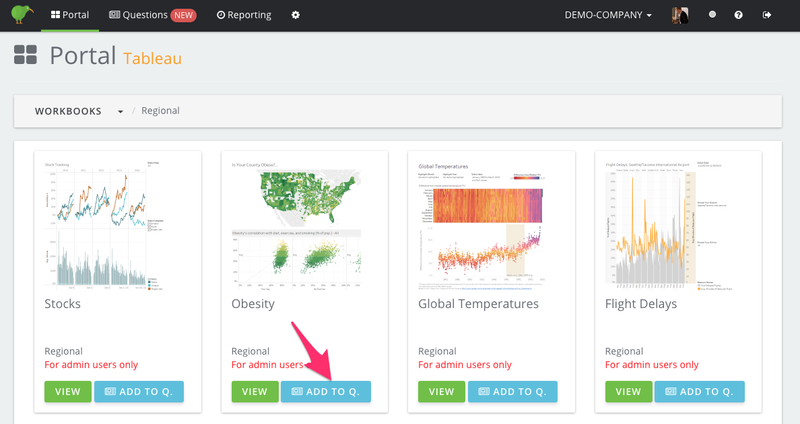 You can now add this view to an other question or create a new data-question answered by this Tableau view. Finally you can go back to the question overview on "overview"
In the overview screen you can see that the question status has changed from "open" to "answered". You can manually change the status just by clicking on it. p.s. Question text can also be changed inline, simply by clicking and changing it. 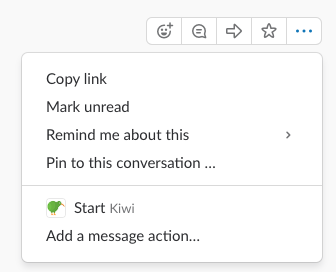 If you cannot see it select "More message actions..." or alternatively type "/kiwi" in any Slack channel. What you see is the new Kiwi menu listing all questions that have been answered. 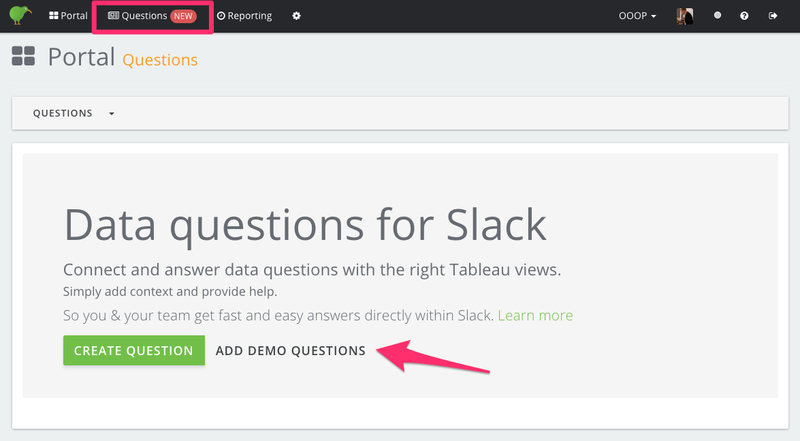 First use the "Select question" drop-down menu to select a question and see how a question look like within Slack. 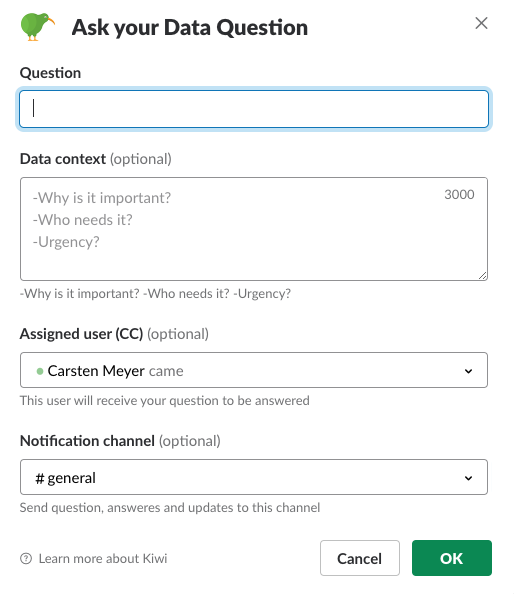 In order to create a new data question within Slack either use the new Slack action menu "Ask Data Question" or click the button "Ask new data question"
The assigned user will receive an direct Slack message. The notification channel will receive updates whenever the question changes, such as new answers or changing its status.